MEDIA ADVISORY, April 30 /Christian Newswire/ -- Lori, an American married to an Iranian, had been working and living as an ordinary member of Iranian society for almost 4 years when she heard rumors that the U.S. was going to be attacked. That was on September 9, 2001. But the operator said NO INTERNATIONAL CALLS BEING PLACED AT THIS TIME. There was no explanation offered. 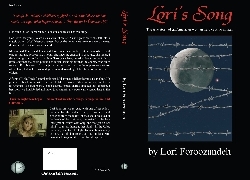 The men took Lori's husband one direction and she another, pushing them blindfolded into the back of the troop carriers with other prisoners, mostly Iranian. Who the armed men were was anybody's guess but they took their prisoners to a POW camp in unfamiliar territory and there, Lori was held, tortured, raped, and starved with them for over a month. Her husband was not to be seen again. Lori was rescued with one of her fellow inmates by the girl's family and, after riding a llama for 1-2 days over mountainous terrain; she arrived at the Iran Immigration center. By then, she weighed in at only 70 pounds, was still suffering from the many injuries she'd received at the hands of her torturers, and wanted badly to get home to her family in the USA. Even then, she had to fight Iranian Islamic bureaucracy to have permission to go, as the husband was unavailable to grant it. In any Islamic country, unknown to many western women, the husband or guardian's permission is always required for a woman to travel anywhere. Lori had been married to her Iranian husband Mohammad for 9 years and thought she could trust him, but, since their arrival in Iran in 1998, his personality and behavior had changed so radically as to make this most recent nightmare highly suspicious. She even found that Mohammad was involved with the govt. of Iran in a terroristic manner.